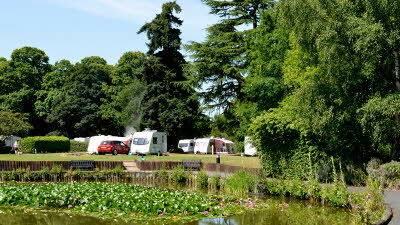 Stanmore Hall Touring Park is set in beautiful grounds, taking full advantage of the grand trees and serene two-acre lake, resplendent with its water lilies and resident peacocks. The conservatory overlooking the lake is an attractive feature of this peaceful location and makes for an ideal spot to unwind from the bustle of modern life. 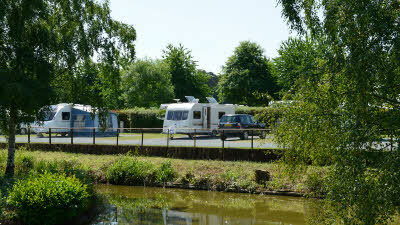 All in all, the caravan site is an ideal destination for those seeking rest and relaxation. 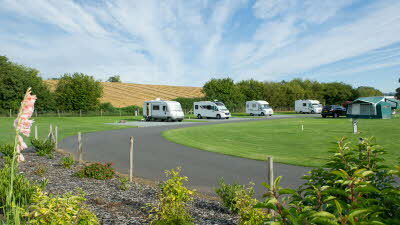 At Stanmore Hall Touring Park you are exceedingly well placed to visit the myriad range of local attractions. 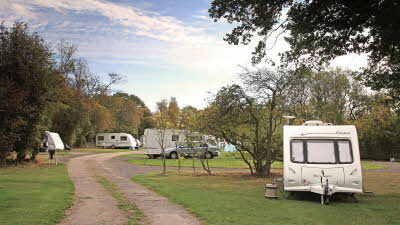 The caravan park also makes for an ideal base from which to explore the lovely Welsh Borders, a particular treat for walkers with a love of dramatic rugged landscapes. The nearby towns within short driving distance with their black and white architecture, so characteristic of this area, will remind you of the simpler times of days gone by. The nearest National Cycle Network route to this site is route number 45, Worcester to Shrewsbury. There is an Aldi located 1 mile from the site. Please only use these recommended directions for the final approach and not sat nav, due to unsuitable roads for towing. 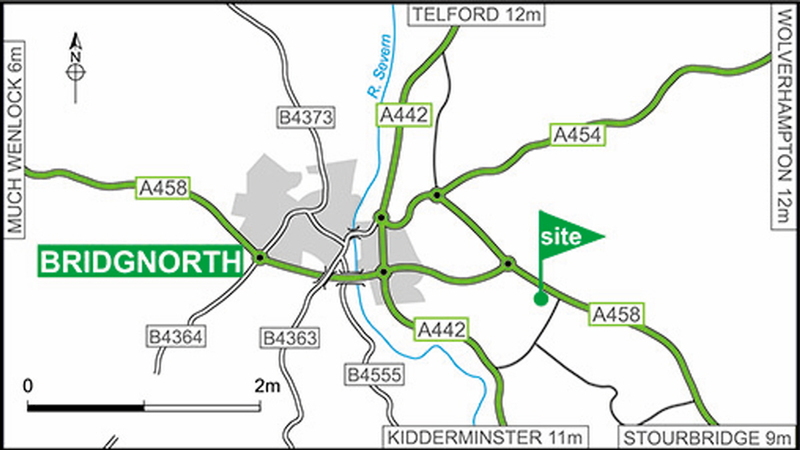 From North: leave M54 at junction 4 onto A442 (signposted Kidderminster). At the roundabout in Bridgnorth turn onto onto the A458 (signposted Stourbridge). The site is on the right within 1.5 miles. From South: use A442 to Bridgnorth then right on A458 signposted Stourbridge. The site is on the right within 1.5 miles. 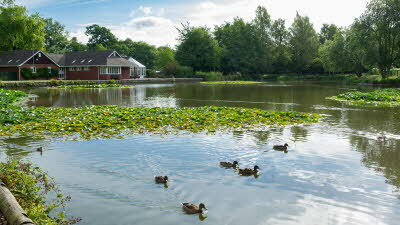 This is a lovely site; well maintained and laid out, with a lake full of water birds as the central attraction. The lady warden was very helpful and pleasant. Well stocked shop for essentials and caravan spares. It's just two miles to Bridgnorth. 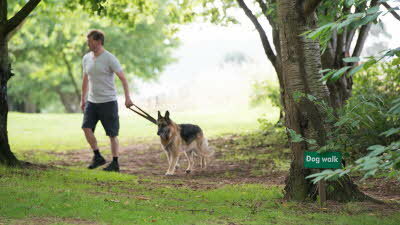 We also managed to do a very pleasant 6 mile circular walk from the site. There is some road noise, especially at rush 'hour', and the amena block is situated at the entrance, so it is a hike to the loo. It is also dated - although the showers are hot with good water pressure, and it's clean. 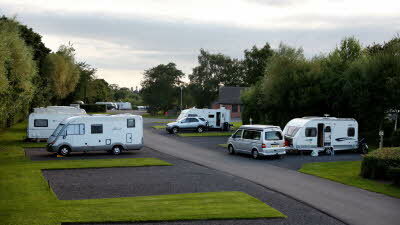 Considering Morris are charging top-price, one would expect a second amenity block nearer the pitches. The entrance is badly lit, so if you are arriving when it's dark, or returning from a night out, you could easily miss it! Re-cycling is nearly non-existant too, except for glass. We took ours home with us - but this isn't really on in this day and age. Unlike CC sites, you're given a pitch, there's no choice on the day. Apparently, regulars don't book online, but phone up to book the pitch of their choice. All in all though, we really enjoyed our stay! We have a long weekend from 26th October, nice professional welcome as normal from a Morris facility. The place is lovely and the grounds well maintained, obviously this time of year there were a few leaves, but to be expected. 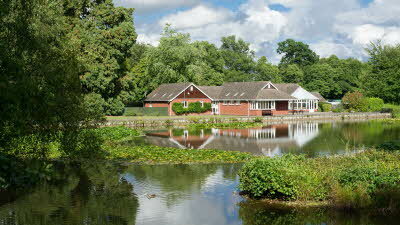 There is piece and quite and a lovely duck pond in the middle of the camp. To get to Bridge North, its a 2 mile walk via the main road which has narrow pavement or there is a 3mile walk via Chapel Lane next to the camp that leads down to the river, for the less energetic they could join me at the bus stop near by, :-) Bus No-9, it runs at 21mins past the hour. The points I found a tad annoying, Overall the showers and toilets however clean are more dated than the other Morris sites, the gents toilets need looking at, the water flow is not so good for the job! in hand. The only other point was the speed limit, we stayed on pitch 105 at the back of the camp, some people were quite excessive with the speed driving by, although there are a few signs stating 10mph, I would suggest that some speed bumps used to remind individuals that there are children and animals about. 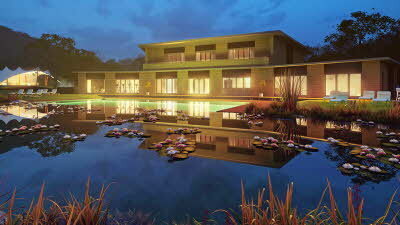 Again however nice weekend, ,would definitely return. One of the best week's going staying on this beautiful kept site with so much on your doorstep, if like us, you enjoy walking there are so many great walks from the site including 3 miles down the river into bridgnorth which is a great town to explore. Staff are so helpful especially Donna who made my week with her enthusiasm , the site has something for everyone, give this site a visit. 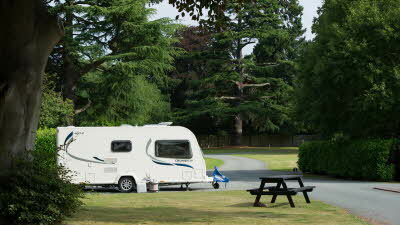 Large pitches make the site seem not enclosed or on top of the next camper. 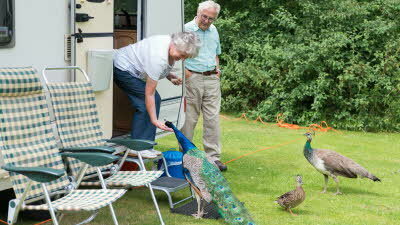 Resident peacocks regularly pop over to your van to be fed with the special duck food bought from the office.well stocked shop with all your camping needs. 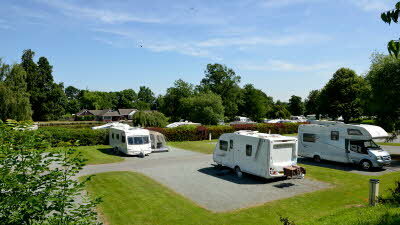 An attractive, clean, well maintained site with high standard (heated) facilities and shop. Road noise quite persistent near busy road - suggest going nearer to the lake. Short, convenient bus ride into Bridgenorth, otherwise a bit isolated. Good value for money (CMC discount) but wifi a bit expensive.